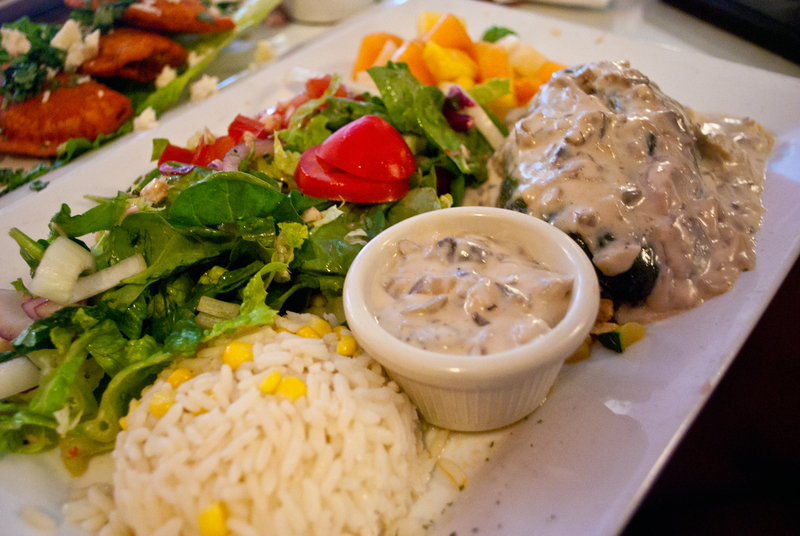 Gtano’s – Grant’s Pass, Oregon – You should eat out more. After a long stretch of highway and open roads for miles, the inevitable happened. We searched Zomato stat for restaurants close by, finally stumbling upon the humble Gtano’s in a nondescript strip mall. Since it was about 40 degrees Celsius outside, we found a small tree to park beneath and headed for the AC. 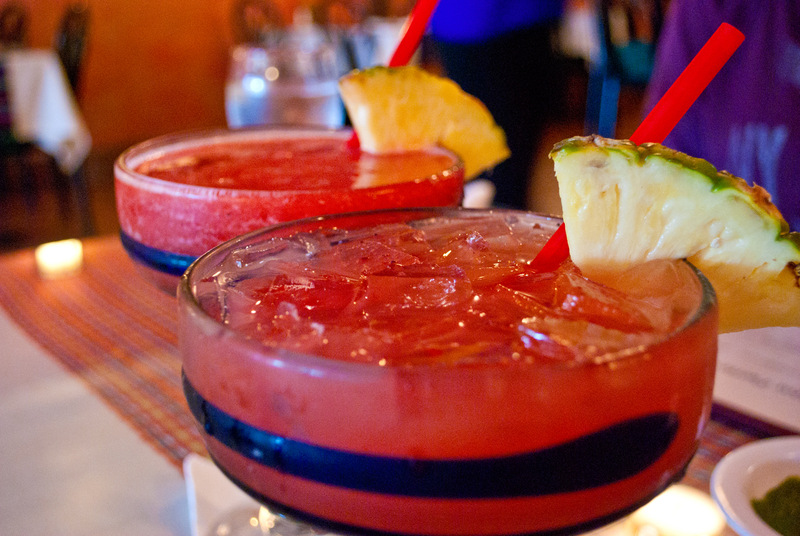 Mell seriously needed to cool off so she ordered a strawberry margarita (which actually has strawberries). Grace was über jealous but since it was her turn to drive, she couldn’t drink. 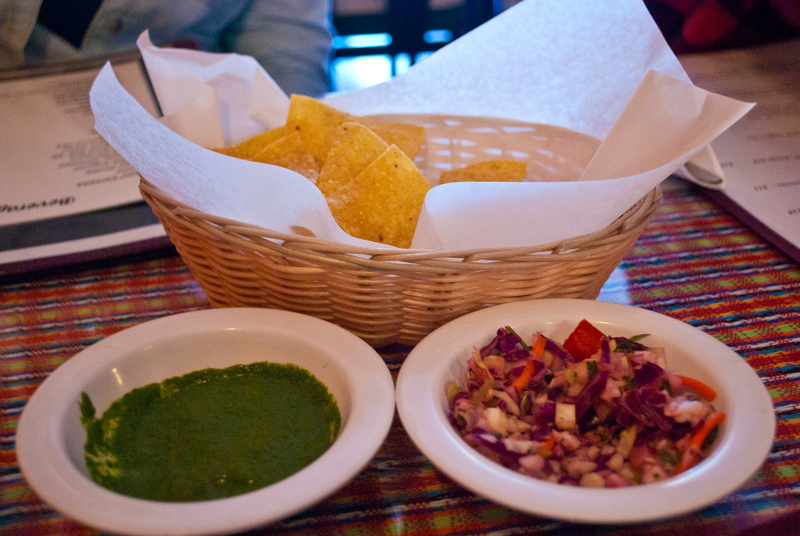 Their house-made nachos came with this spicy cilantro sauce and a sort of coleslaw/salsa fresca with citrus. Both dips were really tasty and after finishing the first round, our server kindly brought us more. 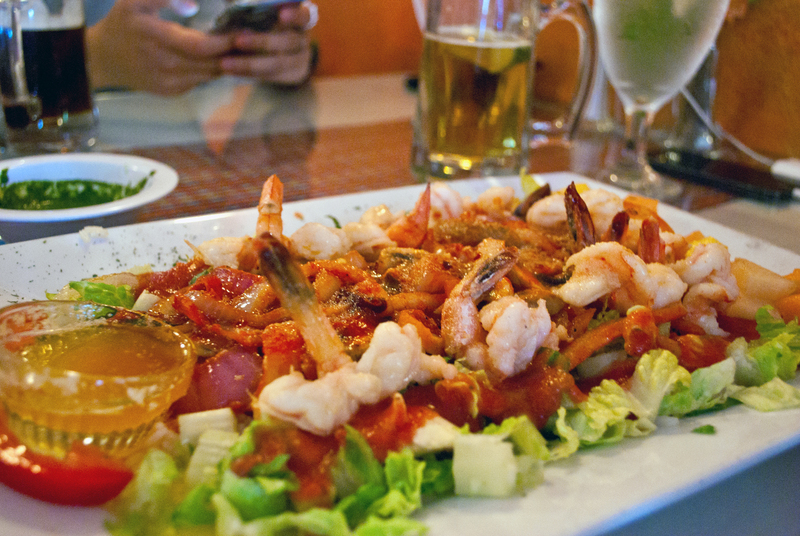 Jo got the Viva Colombia, which came with all the prawns you could ever want on a bed of lettuce and tomatoes. It was mild and not too spicy, but the portions were pretty generous. Rona got the Chile Relleno, a traditional Mexican dish that features a poblano pepper stuffed with ingredients like minced meat and cheese. 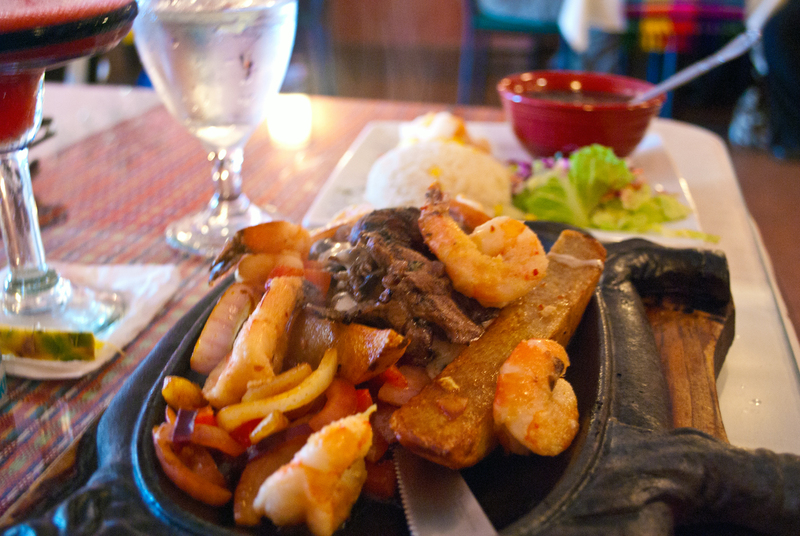 We also shared what they call the Gypsy Plate: a glorious mix of meat sizzling away on a hot plate. Because meat is best shared… or something. Mell ordered Baja Tacos because she loves fish tacos, in case nobody knew that already. 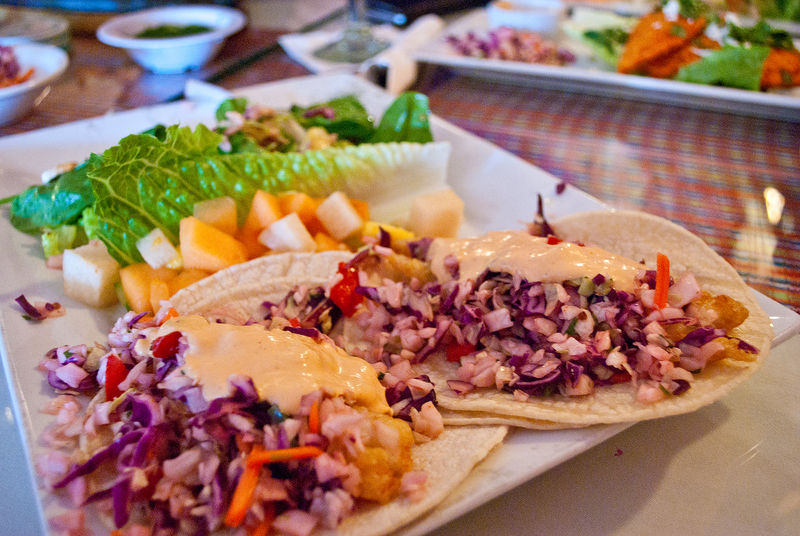 Warm corn tortillas and fried tilapia with the same addictive coleslaw/salsa fresca and Mexican chipotle sour cream sauce on top, this was exactly the kind of food she wanted—crisp fish and lots of vege. With salad as a side, she was feelin good about her choice.